The Rocket is touching down in Muskoka. 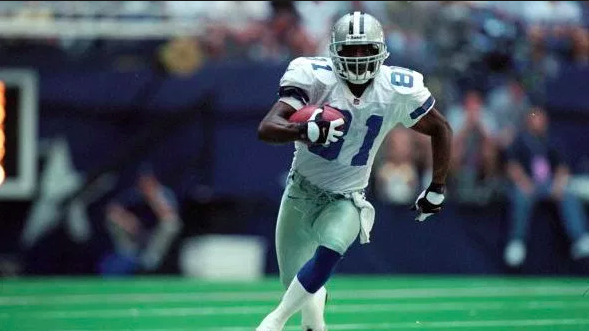 Rocket Ismail, the record-breaking wide receiver and kick returner, is coming to Huntsville to speak at the Mayors Prayer Breakfast on Saturday, April 27. Widely recognized as one of the top 100 football players of all time, Rocket was a crowd favourite wherever he played, whether that be college ball for Notre Dame, the NFL or the CFL for the Argos. Hear the amazing story of Rocket’s life from his humble beginnings, to one of the highest paid rookies ever, complete with his spiritual journey from the Muslim faith to Christianity. Now celebrating its 17th year, the Mayors of Muskoka Prayer Breakfast is sponsored by the Muskoka Leader Impact Group. The event is focused on thanking and praying for our local municipal leaders who give tirelessly to serve our communities. Cost of the breakfast is $30. Click here to select your ticket now. Rocket was projected to go #1 overall in the 1991 NFL draft but instead surprised many in the US by signing with the Toronto Argonauts of the Canadian Football League, with a record-setting rookie contract. He went on that year to lead the Argos to a Grey Cup and won the MVP for the game. After two years in Canada, he went to the NFL to play for the Oakland / Los Angeles Raiders where he spent three seasons. He then moved on to the Carolina Panthers for three seasons and had a breakout year with 1,000+ yards receiving in 1998. In 1999, The Dallas Cowboys signed him, and he responded as their leading receiver gaining 1,097 yards & 6 TD’s. Rocket finished his career with the Cowboys and retired in 2003.